Measure around the fullest part of the hand, excluding the thumb. 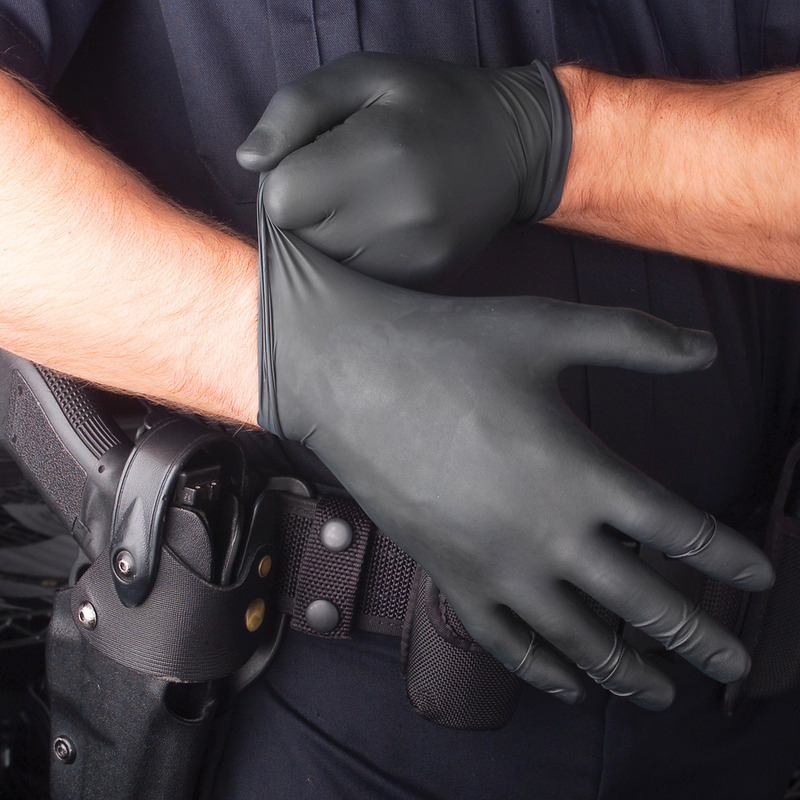 Ideal for law enforcement officers, Dyna Med’s Black Nitrile Gloves provide excellent protection when administering first aid. 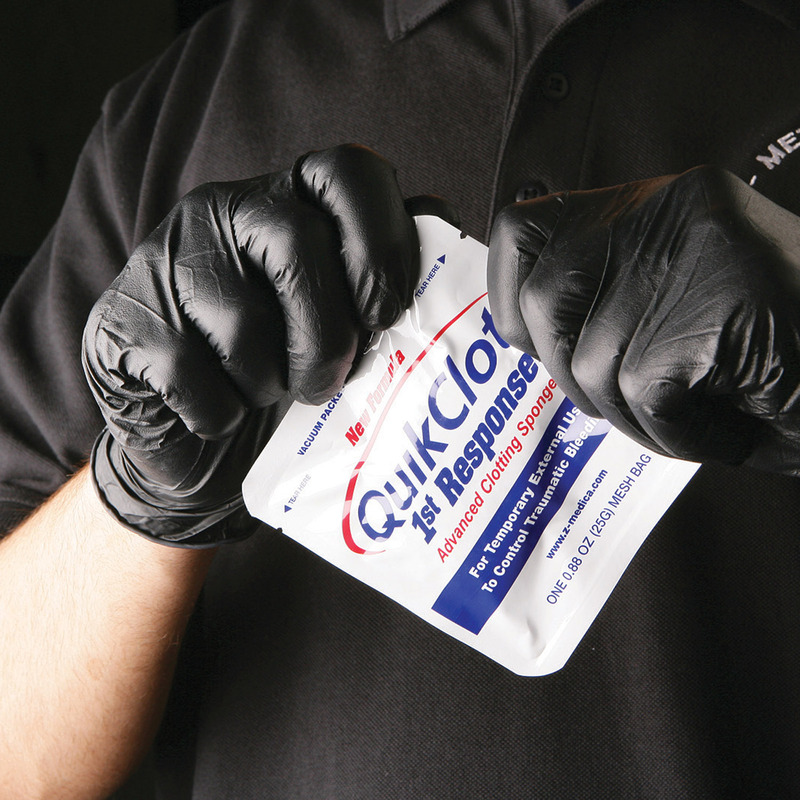 Nitrile construction is non-allergenic and safe for everyone. Subdued black color won’t stand out; perfect for tactical situations.